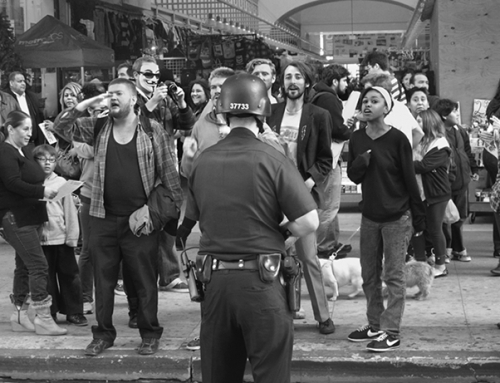 What happened when Danny Lyon joined Occupy? Brooklyn-born Photographer Danny Lyon has always combined the opportunistic eye of a good lensman with a radical idealism, forged in the Sixties when he first emerged as a major figure, producing the “New Journalism” with a camera. His appetite for the frontline has remained undimmed throughout his career, which he documents in The Seventh Dog, a magnificent, personal overview of his life and work. So it was perhaps no surprise that when the Occupy movement sprang up in major cities across the United States in 2011, that Lyon, by now almost 70, hastened to the thick of the action. With Lyon telling his story in chronological reverse, the images he captured are among the first you’ll come across in the book.